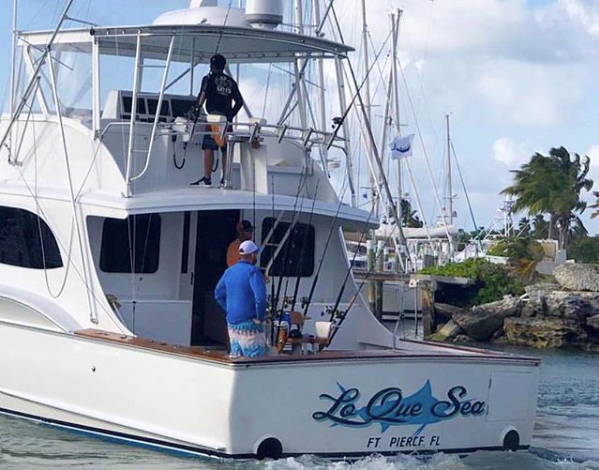 A huge congratulations to team LO QUE SEA, aboard the 58-foot Paul Mann, for winning the Abaco Beach Blue Marlin Tournament May 30th – June 2nd! Captain Kevin Paul, Owner Tony Huerta (named Top Angler!) and angler Garrett Yarborough reeled in three blue marlin, one white marlin and two sailfish totaling 1550 points, to take first, naming LO QUE SEA Top Boat, Owner Tony Huerta Top Angler and team LO QUE SEA Top Captain and Crew!